On this day two years ago butterflies, including this Lycaenidae species, were out and about. It’s a gorgeous day today, and I’m still hoping to catch some of that strong sunshine and shoot a bit before it gets away (and a potentially cloudy, rainy rest of the week moves in). The bugs are definitely starting to come out in force around here, finally. I’ve started seeing butterflies again which is a welcome sign. They’ve been cabbage whites, one of the most common, but I’m sure there are other ones making the rounds as well. In other news, I finally took some photos of my gear and some examples shots for my “Poor Man’s” Macro series. There might even be some short videos, too, if I don’t get too frustrated trying to edit them (but don’t get too excited, they might be kind of boring!). 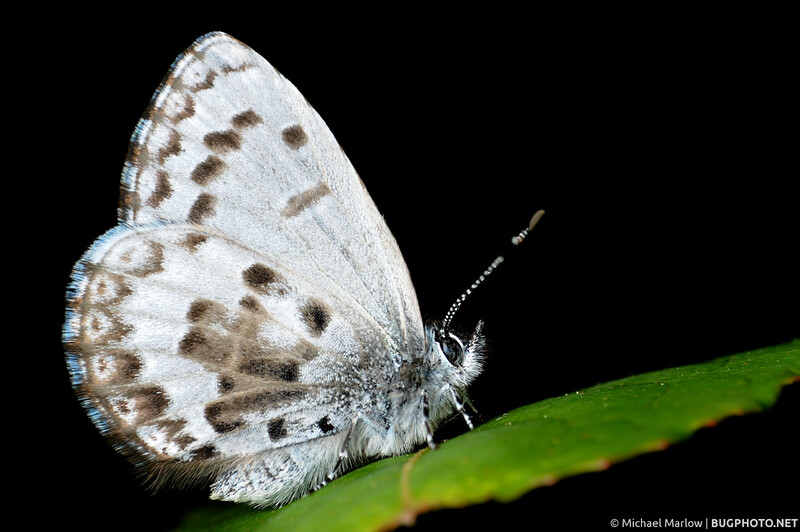 Posted in ButterfliesTagged butterfly, Celastrina, Lycaenidae, Macro Photography, pattern, Polyommatinae, scales, spring azureBookmark the permalink.